iOS 11.4 2018 Review! Should You Update? Hey guys. iOS 11.4 is fast approaching. It's about to be released in just a couple weeks here. And in this article I thought we'd bring together everything we know about everything that matters into one article. Before you update I personally been using it for just a couple of weeks now and I've got my own opinion to throw in there and there were a couple of things that I don't like about it which I'll mention but in general everything you need to know about iOS 11.4 including all of the new features before updating. So to begin iOS 11.4 beta 6 was released two days ago and there's really nothing new new in this version so that's why I'm covering iOS 11.4 as a whole here but the build number is still in beta as it does have a little on the very right we're likely to receive a gold. The final version here in just a couple weeks, maybe even next week and the final release date will likely be in June 4th after WW DC. Anyways the first thing that I noticed after updating personally in iOS 11.4 is that you get some storage back. I got about 2 gigabytes back originally after updating to Beta 2. And ever since then it's been the same but mostly whenever a new version comes. You're going to get some storage back because apps are clearing the cache general cleanup in iOS will happen. So you will likely see some storage being returned to you. I also did notice that face ID and iOS 11.4 tends to be much more reliable and faster than eleven point three for me personally. I don't know why and it's definitely not a placebo. It's just generally been much better on 11.4 and the same thing goes for the apps which I know that in iOS 11.3 Apple did improvements to this with the animations but it seems like on iOS 11.4 they polished that even further just seems very fluid in general works very well. I've had no issues. a lot of apps stay loaded in the background. Much better the RAM management in general and iOS 11.4 seems to be slightly better. The blacked out bug has officially been fixed. and iOS 11. 4 and messages on iCloud is finally present. This is a feature that will also save you some storage. It was teased originally and on iOS 11.3 Apple removed it and now on iOS 11.4 finally seems like Apple will be adding it. So in your iCloud settings you'll see new messages tab and a little toggle for it. Enable it here and you'll be able to store your messages on the iCloud. Airplay too is back as well. So this is another feature that was teased on iOS 11.3. Apple removed it and now it's made its way back to iOS 11.4 with multi room support. So here you'll get all of your airplay. It's a very nice feature that Apple added to Siri. You can actually ask Siri to play different speakers in different rooms. Basically control multi tiered room with Siri. for example you can say "Hey Siri, "play cold in the office" or "Hey Siri play cold in the bedroom" and she can textually change where she plays the music because of that multi-role support now. and the Siri support for and stereo pairing. So I'm a little confused by this one. Apple added reference to stereo pairing back into iOS 11 for Beta 1. 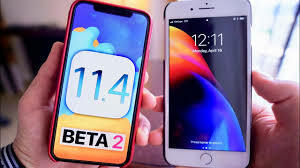 They removed it and iOS 11.4 for Beta 2 and we still may see it before the final release. But don't hold your breath. Honestly this is a feature that I feel could be very tricky and Apple wants to wait and perfect it so maybe we'd have to wait even longer beyond iOS 11.4. So it may still surface but Stereo support seems to have came in once in iOS 11 and in iOS 11.4. Another feature for the home pod is it seems to have gained support for the calendar app. You may be able to ask it to do things like "send an appointment in a calendar"
iOS 11.3 and iOS 11.4, the iPhone 10, the Folio cases it seems that a feature has been added where if you actually close it can open and you can unlock it automatically. That feature was present on other devices not in the iPhone 10 but Apple did add that support with iOS 11.4. There's a new security measure in iOS 11.4. this is to combat the brute forcing tools. 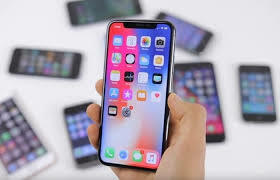 if you have a used or unlocked your phone in seven days it will lock out the lightning ports and then it's only a power port so you won't be able to transfer data through it and thus rendering the gray key brute force tool ineffective. So that's very great security measure implemented by Apple. If you're at all worried about that, iOS 11.4 is a sure bet.